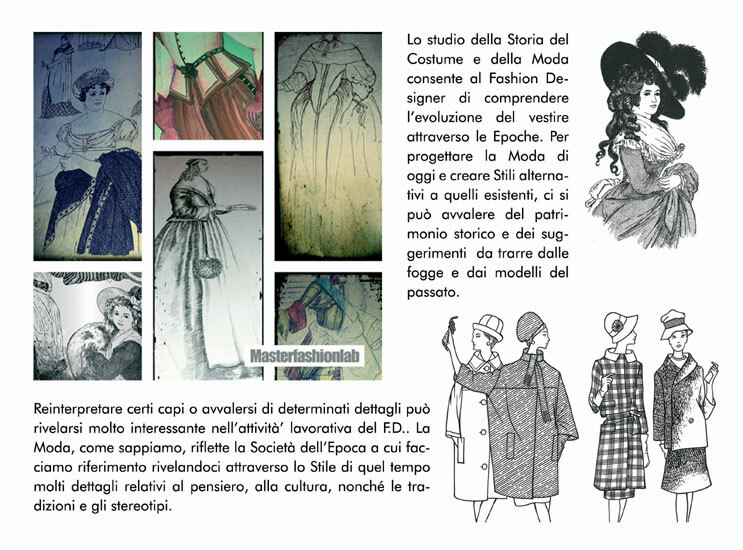 The study of the Constumo History and Fashion Fashion Designer allows you to understand the evolution of dress through the Ages. To design today's Fashion Styles and create alternative to the existing ones, you can make use of the historical heritage and the suggestions to be drawn from the shapes and patterns of the past. Reinterpret certain leaders or exploit certain details may prove to be very interesting in practice FD The Fashion, as we know, it reflects the society of the Age to which we refer by revealing through the style of that time many details at the thought, culture, and the traditions and stereotypes.